The one redeeming feature of a spider is that the webs they create are usually too small, or too weak, to entrap a human. But Festo continues to corner the market on unsettling and slightly creepy robots with a machine that can create giant webs and even 3D cocoons that could easily hold a human hostage. 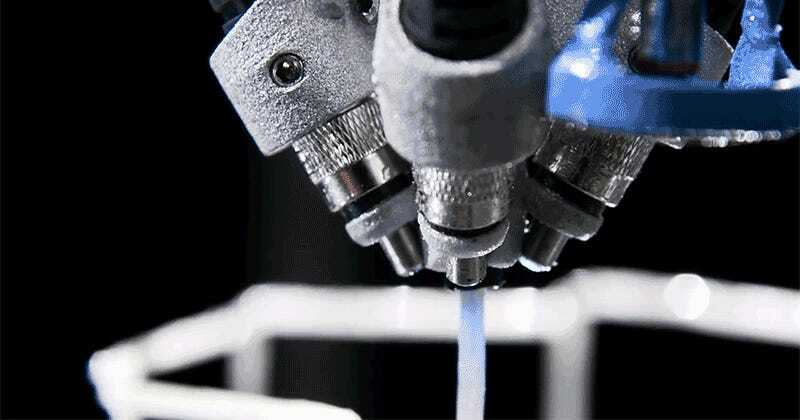 A built-in saw slices the material when the robot’s print head needs to move to another location, but the special resin can also be softened again at any time allowing beams and supports to be angled, repositioned, or connected to other parts of the 3D cocoon during the printing process. Admittedly, the 3D Cocooner doesn’t really look as creepy as a spider. It has no beady eyes or menacing fangs, but the fact that it could quickly entomb you in its resin web is more than enough reason to question why this research needs to continue.